Makita LS1216L Review by real customer- Is it right for you? 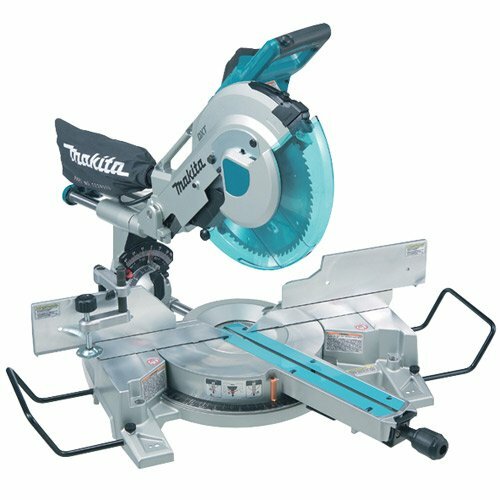 Read In-depth Review of Makita LS1216L 12 Inch Dual Slide Compound Miter Saw below. Check buying guide to choose cheap miter saw stand. Check top selling miter saws at Amazon. LASER FEATURE: I think this is the best feature that I love about this Makita LS1216L. Compared to other brands, the laser mounted on this saw is perfectly built-in and it is really functional. I can switch the laser on and off and it operates well throughout an entire cut. I usually use the laser to quickly line up a very long cut as well as on specific cuts. IT DELIVERS: There is this one instance when I was constructing an access door for the firewood storage. After finishing it, I did some extra work to miter all the joints of the door so that it can have a good tight fit. And this Makita miter saw really delivers the result that I really want. NICE MOTOR: The motor of this compound miter saw never loses power. I like its soft start and I don’t get that feeling of the blade arm jerking out of my hands during startups anymore. I like the fact that the motor has a constant speed and it cuts through any piece of hardwood smoothly. Check the best tool box brands for storing your tools safely. Click here read full specifications of the Makita 12-Inch Miter Saw product. This sliding miter saw provides accurate cuts. It has 4-steel rail system and six linear ball bearings. It is a maintenance-free dead-on accuracy for your cutting jobs. The capacity of the LS1216L includes the following: 6.5 inches baseboard at vertical, 15 inches cross-cut at 90 degrees, and eight inches crown molding at vertically nested. This miter saw is indeed a versatile one. It has a 5.5-inch tall fence system. It offers lower and upper fence adjustments to deliver more accurate cuts. The package includes dust bag, blade, vertical clamp, triangle and wrench. Click here for more product features. Check detailed comparison of bosch gcm12sd vs dewalt dws780 vs makita ls1216l vs festool kapex with chart. I have read a good deal of miter saw reviews and I’m happy to find that a lot of customers have pretty much the same experience about the LS1216L. I have tested this miter saw and its performance has yet to disappoint me. I am really happy that I bought it – I already wish that I bought it years ago. My only complaint about this power tool is that it generates a lot of saw dust. For now, I just use a dust collector placed at the back port. And it’s holding up pretty well so far. Overall, the Makita 12-Inch Dual Slide Compound Miter Saw is still an excellent product and I use it in my projects all the time. Check difference between dewalt dws 780, dws779 and dws709. I hope this article about Makita LS1216L Review of 12 Inch Dual Slide Compound Miter Saw helped you to decision in buying good product. You can buy this model if you want premium features. Click here to check what Amazon customers are saying about makita. Read reviews of dewalt dws780, dewalt dw717, hitachi c12rsh2, bosch gcm12sd.